When you lie, think about how you are hurting the other person. Always be honest. 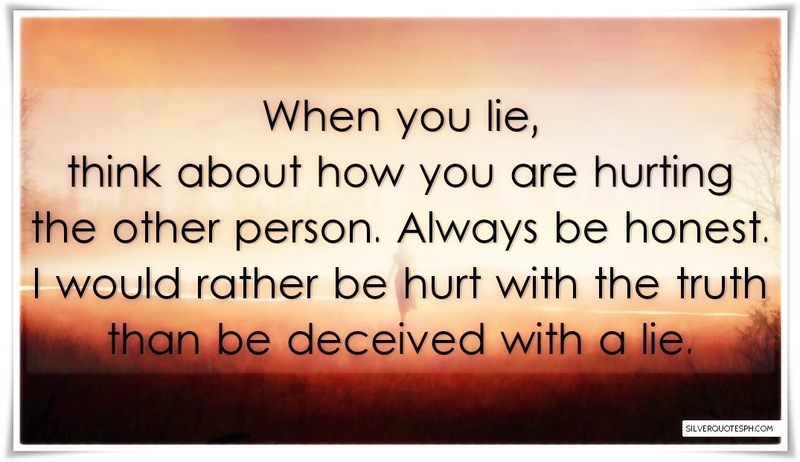 I would rather be hurt with the truth than be deceived with a lie.